Regularly producing new and pertinent blog content lets your audience know that you understand them and gives them a reason to come to (or come back to) your website. With our well-honed blog production process, Bluefish Digital can help you identify topics and produce blogs that your audience will devour. 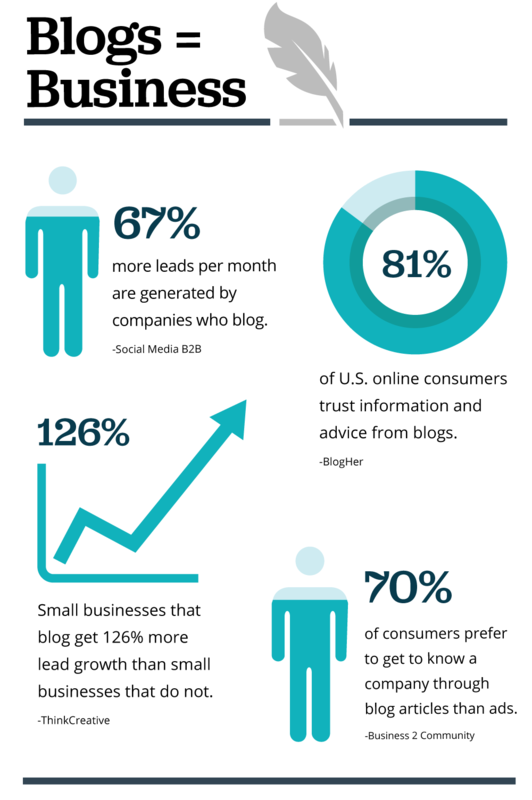 Blogging is one of the more important tools we can use in digital marketing. But it’s not just a place to repurpose your sales materials. A great blog will relate to your customers and put their wants and needs first. Doing this consistently demonstrates expertise and build report and trust. And it’s a critical first step in getting prospects into your sales and marketing funnel. But it takes a steady stream of fresh and client-centric content and many of our clients don’t have the in-house resources required to succeed. That’s where we come in. We write, publish and promote blogs that are central to your inbound and integrated digital marketing campaigns. Call us today to talk about how to add a blogging program to your digital marketing initiatives. Need help creating blogs that get results? Call us at 978-238-1626 today and lets get started.